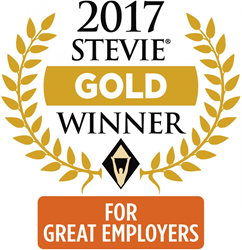 Endurance Honored as Gold Stevie Award Winner in 2017 Stevie Awards for Great Employers – Endurance was named a Gold Award winner at the 2017 Stevie Awards for Great Employers. 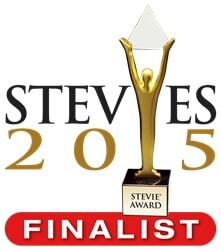 Stevie winners will be presented with their awards on September 22 in New York. Click here to view the press release. Endurance Featured on Selling Power’s “50 Best Companies to Sell For” List in 2017 – Endurance has earned a spot on the list of Selling Power’s 50 Best Companies to Sell For. Providing vehicle service contracts to drivers nationwide, this is the first year Endurance has participated and placed on the coveted list. Click here to view the press release. Endurance Honored as Finalist in 2017 Stevie Awards for Great Employers – Endurance has been named a finalist in the 2017 Stevie® Awards for Great Employer for the second year in a row. 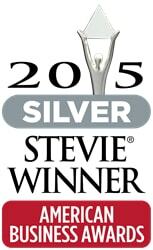 Stevie® winners will be announced at a ceremony on September 22nd in New York. Click here to view the press release. Endurance Ranks No. 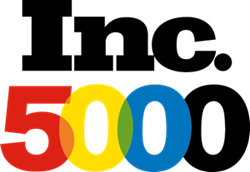 2663 on the 2017 Inc. 5000 With Three-Year Sales Growth of 130% – For the third year in a row, Endurance has made it onto the Inc. 5000 list of Fastest Growing Companies, ranking No. 2663 with three-year sales grown of over 130%. Click here to view the press release. Ernst & Young Name Endurance Entrepreneur Of The Year® 2017 Award Winner in Midwest – Endurance joins three decades of groundbreaking entrepreneurs who have compete for this coveted award. Winners were announced on June 21st at the awards ceremony presented by Ernst & Young. Click here to view the press release. Endurance Honored as Gold Stevie Award Winner at the 2016 Awards for Great Employers – Endurance, takes home their sixth Stevie® award in three years, rounding out 2016 with a Gold award for Employer of the Year. Endurance was honored with the Gold Stevie Award at this year’s ceremony, highlighting a trend after previous being named one of the Top Workplaces in Chicago by the Chicago Tribune and one of the Best Places it Work in Chicago by Business Insider. Click here to view the press release. Endurance Vehicle Protection Repeats on Inc 5000’s List of Fastest Growing Companies – For the second year in a row, Endurance Vehicle Protection has made the Inc. 5000 list of fastest growing private companies in the United States. Click here to view the press release. Endurance Vehicle Protection Debuts on Crain’s Fast 50 List – Endurance, the nation’s premier provider of extended vehicle protection, commonly referred to as an extended car warranty, has debuted on the 2016 Crain’s Fast 50 List of the fastest growing companies in the Chicagoland area. Click here to view the press release. 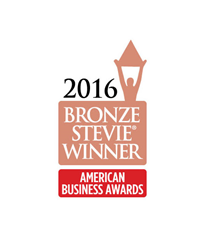 Endurance Honored as Bronze Stevie® Award Winner at 2016 American Business Awards – Endurance Vehicle Protection was named the winner of two Bronze Stevie® Awards in the categories of Customer Service Department of the Year and Company of the Year at the 14th Annual American Business Awards. Click here to view the press release. Year® 2016 – Ernst & Young have announced Jordan Batt, President and Paul Chernawsky, CEO at Endurance Vehicle Protection as finalists for the 2016 Entrepreneur of the Year award. Click here to view the press release. 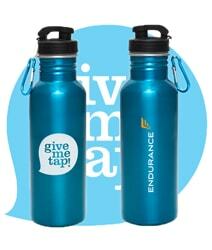 Endurance Vehicle Protection Sponsors GiveMeTap’s Clean Water Project for World Water Day – Endurance Vehicle Protection, one of the nation’s largest vehicle service contract providers, commonly referred to as extended auto warranties, is proud to sponsor GiveMeTap’s clean water project for World Water Day. Click here to view the press release. Chicago Tribune Names Endurance One of the Top Workplaces of 2015 – Endurance, the nation’s premier provider of extended vehicle protection- commonly referred to as an extended auto warranty, debuts on the Chicago Tribune’s list of Top Workplaces of 2015. Click here to view the press release. Endurance Debuts on Inc. 5000 List of Fastest Growing Companies – First-year entry, Endurance – one of the nation’s leading providers of vehicle protection, commonly referred to as an extended auto warranty – was awarded a coveted spot on the 2015 Inc. Magazine’s list of fastest growing companies. Click here to view the press release. Endurance Wins Two Silver Awards for Customer Service Department and Company of the Year at 2015 American Business Awards – Endurance, the nation’s premier provider of vehicle protection, commonly referred to as an extended car warranty, was honored with two Silver Stevie® Awards for Customer Service Department of the Year and Company of the Year at the 2015 American Business Awards. Click here to view the press release. 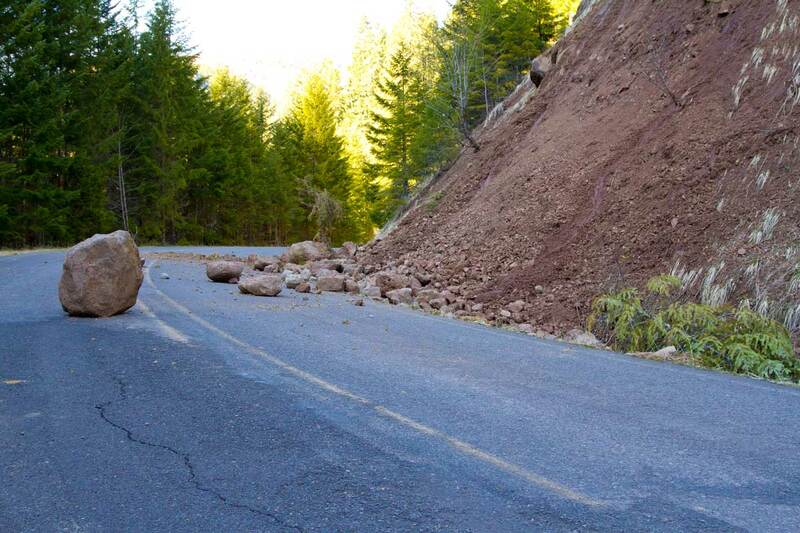 Endurance Named Finalist at 2015 American Business Awards for Company of the Year and Customer Service Department of the Year – Endurance, the nation’s premier provider of extended vehicle protection – commonly referred to as an extended car warranty, has been named a finalist at the 2015 American Business Awards for both Company of the Year and Customer Service Department of the Year. Click here to view the press release. 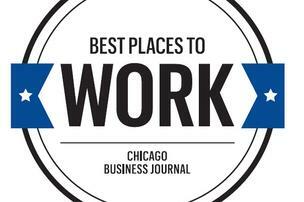 Chicago Business Insider Names Endurance Warranty One of the Best Places to Work in Chicago – Rounding out a year of accomplishment, Endurance- the nation’s premier provider of extended vehicle protection was named one of the Best Places to Work in Chicago by Chicago Business Insider. Find out how Endurance stacked up against other companies in consideration. Click here to view the press release. 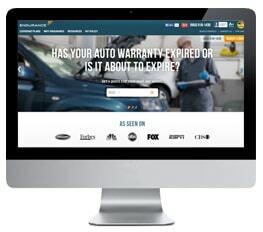 Endurance Vehicle Protection Ranked #1 Auto Warranty Provider by ExtendedAutoWarranty.com – Endurance, the nation’s premier provider of extended vehicle protection – commonly referred to as an extended auto warranty, was named Top Auto Warranty Provider by ExtendedAutoWarranty.com – an independent auto warranty review site. Click here to view the press release. Endurance Vehicle Protection Honored as Gold Award Winner at 2014 Golden Bridge Awards – Endurance Vehicle Protection, the nation’s only direct-to-consumer provider of extended vehicle protection, commonly referred to as an extended auto warranty, took home the top honor for Best Website of the Year by the Golden Bridge Awards. Click here to view the press release. 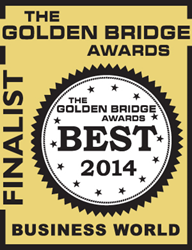 Endurance Vehicle Protection Named as Finalist in the 6th Annual 2014 Golden Bridge Awards for Website of the Year – Endurance Vehicle Protection, the nations only direct-to-consumer provider of extended vehicle protection, commonly referred to an extended auto warranty, was nominated for Best Website of the Year by the Golden Bridge Awards. Click here to view the press release. Endurance Receives Gold-Certified Status During Re-Certification Process from the Vehicle Protection Association (VPA) – Endurance has once again completed and passed the VPA’s certification process in adherence to the direct-to-consumer vehicle service contract industry standards of conduct and compliance with federal and state laws. Click here to view the press release. Endurance Honored as Gold Stevie Award Winner at the 2014 American Business Awards – Endurance was presented with the Gold Stevie® Award for Customer Service Department of the Year category at the 12th Annual American Business AwardsSM in Chicago. Director of Customer Service says that the department is “ecstatic over this well-deserved win.” Click here to view the press release. Endurance Named Gold Award Winner for Best Extended Car Warranty Services by TopTenREVIEWS – Endurance, a top-rated provider of extended vehicle protection based in Chicago, was recently ranked as the #1 Extended Vehicle Protection Provider for 2014 by TopTenREVIEWS. 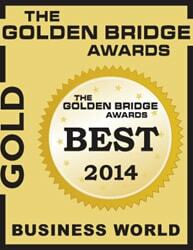 Endurance was extensively reviewed and awarded 9.9/10, a near-perfect score, which earned Endurance the Gold Award. Click here to view the press release. Endurance Named 2014 American Business Awards Finalist for Customer Service Department of the Year – Endurance was named a finalist in the category of Best Customer Service Department of the Year, among more than 3,300 organizations that submitted nominations this year. Highlighting the achievements and contributions of companies across the nation, merely being a contender to win a Stevie is a massive distinction. Click here to view the press release. Endurance Vehicle Protection Breaks Records for Lead Response Times – Once again Endurance Vehicle Protection sets the bar for customer service and response times, as it continues to lead the way in the vehicle service contract industry. Click here to view the press release. Endurance Auto Protection Receives Certification from the Vehicle Protection Association (VPA) – Endurance Auto Protection is the eighth vehicle service contracts firm to pass the VPA’s certification hurdles regarding adherence to industry standards of conduct and compliance with federal and state laws. Click here to view the press release.